Mesa County Public Health participated in a statewide CDPHE exercise this week. 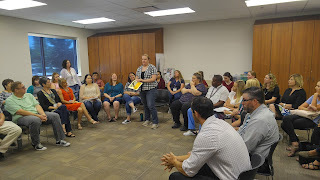 Staff members responded to a fictional emergency in order to test their response procedures. Managers each took a role in the response to better prepare for a real-life emergency. Mesa County Commissioners proclaim June Bike to Work Month and June 28 Bike to Work Day. Representatives from Mesa County Public Health, Regional Transportation Planning Office, Grand Valley Bikes, and many others were present at the commissioner's public hearing to accept the proclamation. Mesa County Transportation Planner Biz Collins and Mesa County Public Health Information & Communication Manager Katie Goddeyne talk to the commissioners about the importance of alternative transportation. Mesa County Solid Waste Management Director Barrett Jensen, right, and staff member Beau Schmalz, celebrate Flag Day. FlagDay is celebrated marking the adoption of the American flag by the Continental Congress in the First Flag Act on June 14, 1777. The Act declared that the new flag would have "13 stripes alternate red and white: that the union be thirteen stars, white in a blue field, representing a new constellation." 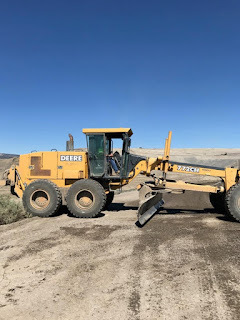 Mesa County Solid Waste Management is grateful to the Mesa County Road and Bridge Department for letting them use their motor grader for this week's road maintenance at the landfill. 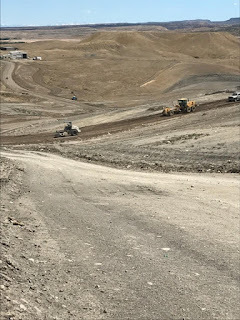 Members of the landfill crew perform road maintenance. 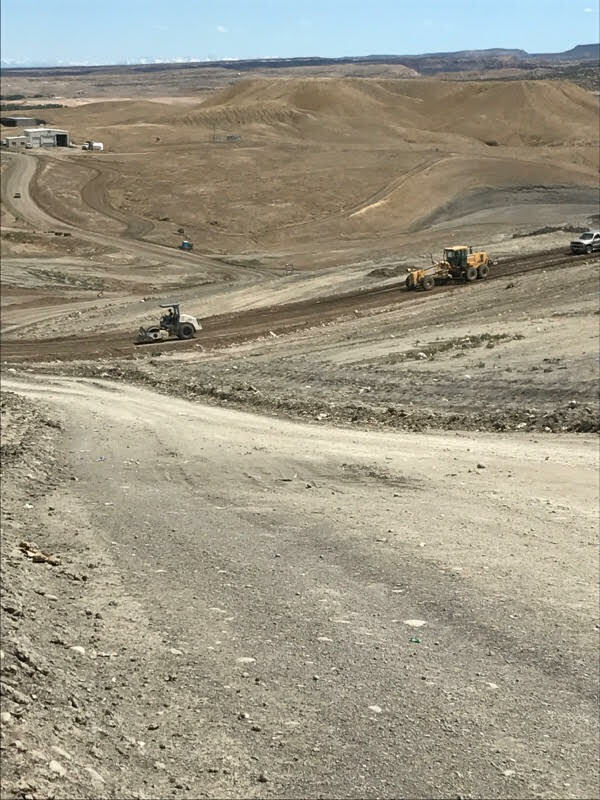 Maintaining a path that is built on top of old landfill waste that decomposes and shifts requires lots of upkeep. 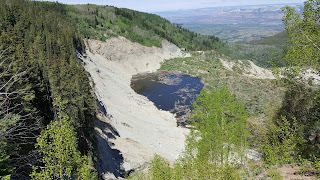 Not to mention an average of 350 vehicles per day drive over it. 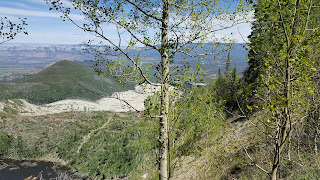 It is not an easy task, but Site Manager Brandon Hoskin and his crew are on it. 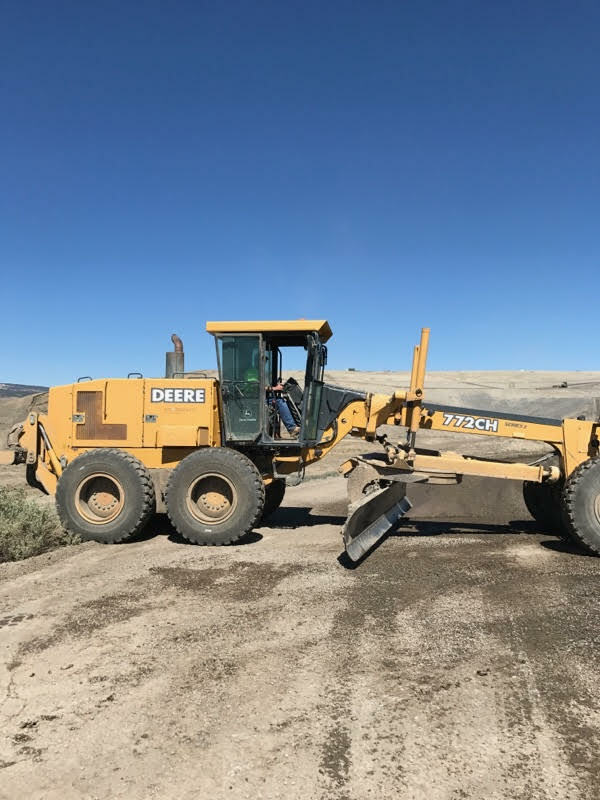 ( Brandon Hoskin is in the motor grader, and Carl Ives is on the roller). Earlier this week speeds of more than 50 mph blew trash that was caught by the 30-foot fence out at the Mesa County landfill. 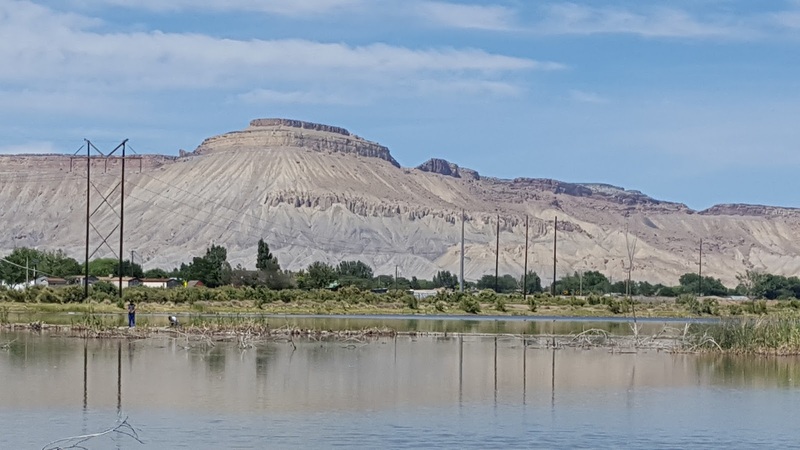 The Mesa County Solid Waste Campus had to close due to the high winds. On Monday, June 12, 2017, the Board of Mesa County Commissioners proclaimed June 2017, as Toastmasters Month in Mesa County. From left, Commissioner Scott McInnis, Jason Poitras, Commissioner John Justman, Debra Kemp, Bobbie Daniels and Commissioner Rose Pugliese. 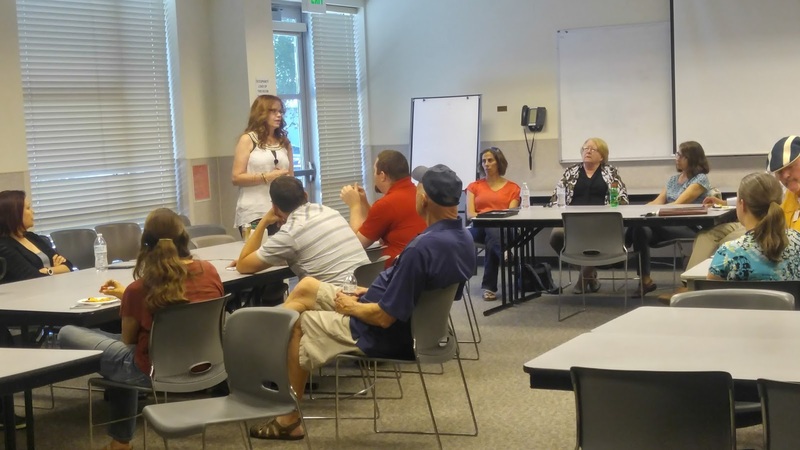 Adult Protection Awareness Month gathering at DHS -June is National Adult Protection Month. 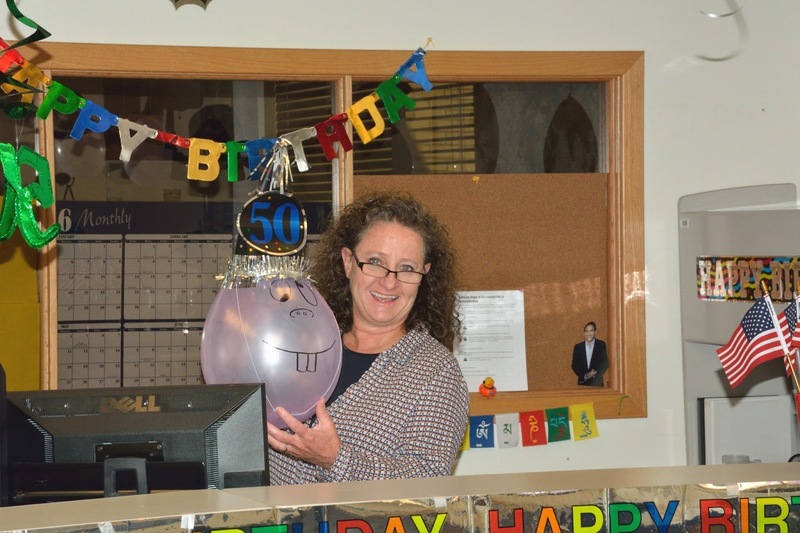 Adult Protection Supervisor Candace McGuire thanks staff, and community members for their help in keeping the elderly and disabled safe in Mesa County. 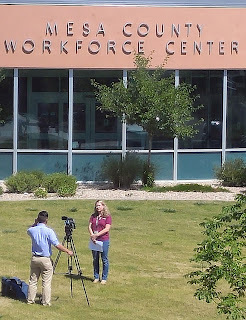 is interviewed by KJCT TV about Summer Youth Employment Opportunities. 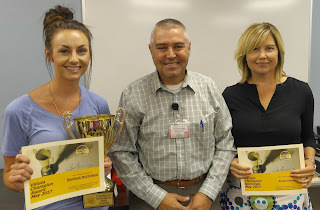 Amanda Beck (Center) reads her nomination of Marla Montoya for Values Champion. 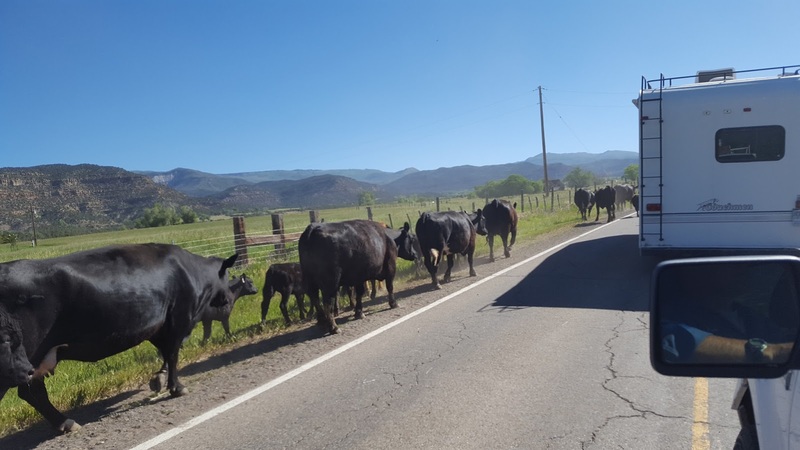 Mesa County Solid Waste Management Director Barrett Jensen, left, runs to the door to greet residents attending the 31 Road Intersection Improvement Project. 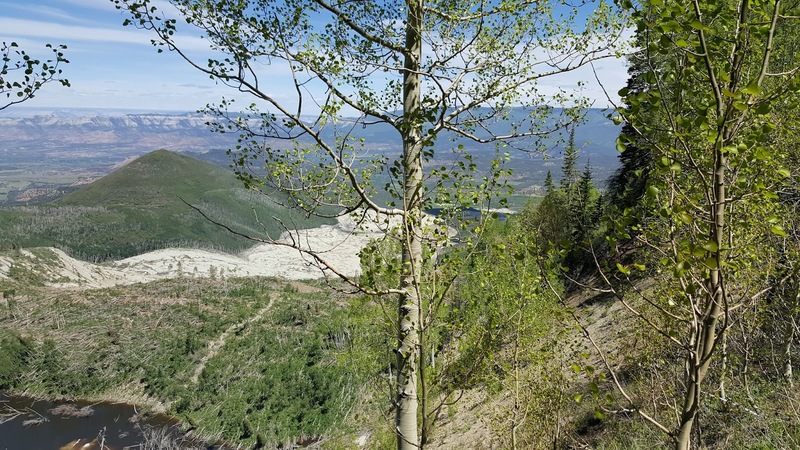 The purpose of the project is to improve sight distances on 31 Road at the intersection with the entrance of Mesa County Composting Facility by increasing the length of the vertical curve on 31 Road. Values Winner Ranliegh McClelland, Child Welfare, Tracey Garchar, Executive Director, Rhonda Johnson Workforce Center Nominee. 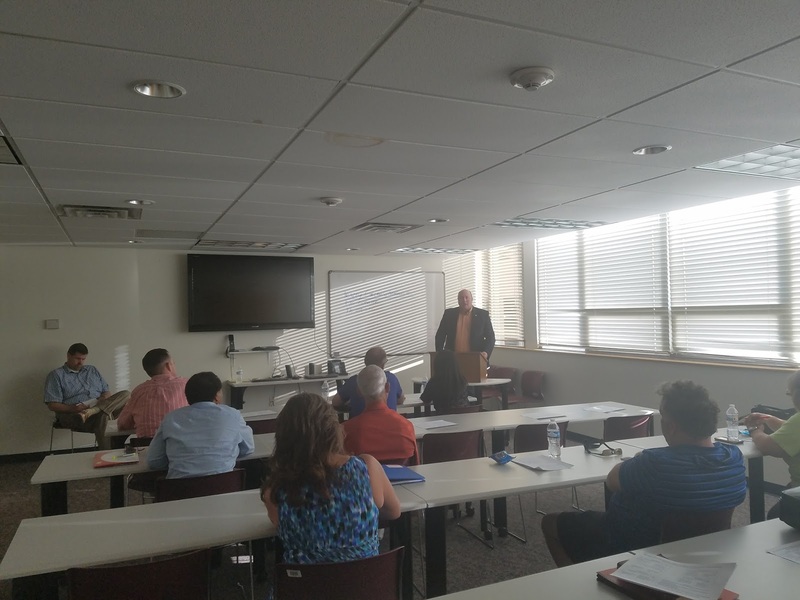 Mesa County Attorney Patrick Coleman talks to the Inside Mesa County class on Wednesday evening about the functions of his office. 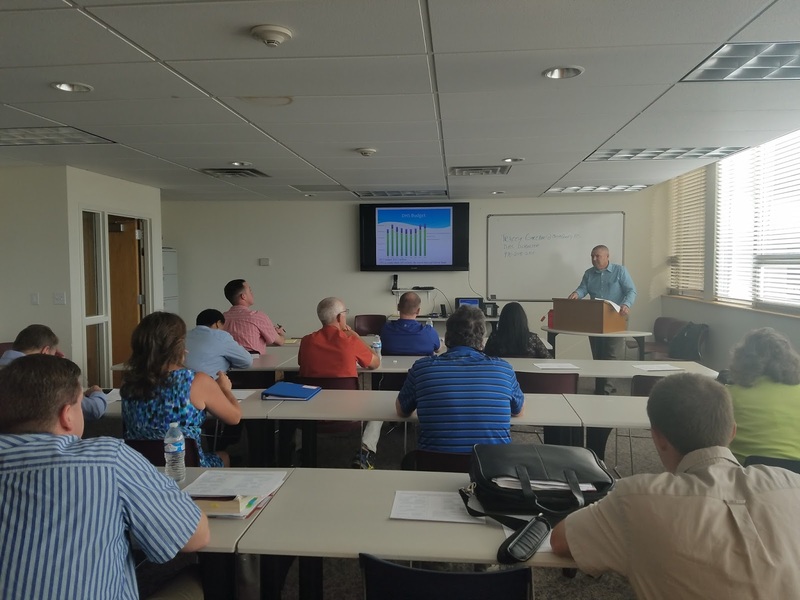 Mesa County Department of Human Services Director Tracey Garchar discusses the various sources of funding that are used to operate his department, which includes 26 different programs. Electricians reroute power to the distribution panels at the Mesa County Animal Services facility, 971 Coffman Road. Sixty-two micropiles were placed in the main part of the Mesa County Animal Services building to support the new floor. Micropile is a type of ground treatment, which acts as a supporting structure to transfer the load from the building to the ground. Beginning June 19, the Mesa County Road and Bridge Department will start working on road improvements at the north end of 27 ¼ Road, north of H Road. 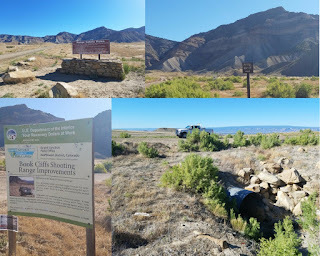 The improvement site is located near the entrance of the Book Cliffs pistol range. 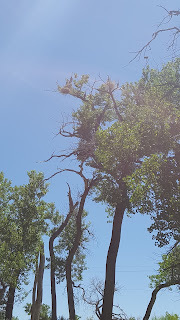 See more at https://goo.gl/oyH8YH. 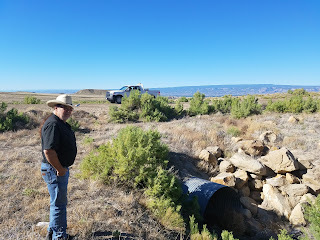 Mesa County Road and Bridge Construction Manager Pete Mathes talks about how the 72-inch corrugated metal pipe, under the road near the entrance to the pistol range, has begun to deteriorate, which will be replaced with a new concrete reinforced pipe. Access to the pistol range will be interrupted during the culvert replacement, but the rifle range will still be accessible. 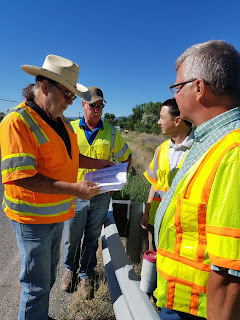 Mesa County Public Works staff members gathered at the intersection of 25 Road and H Road to assess roadwork and come up with a solution. 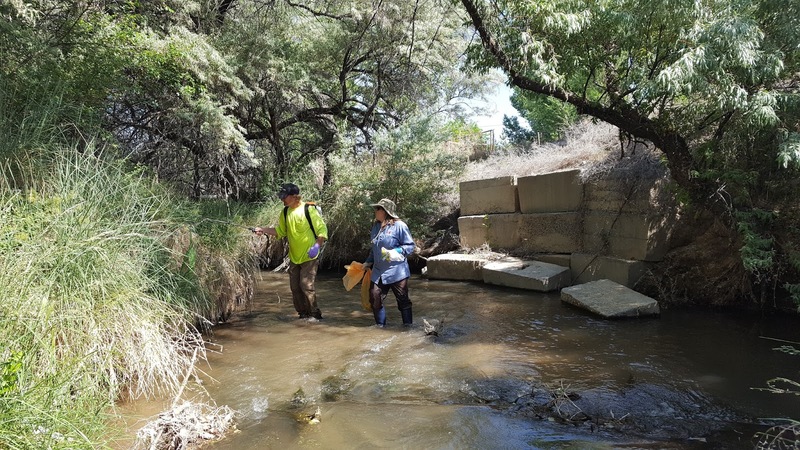 Stacy Wilson of Mesa County Noxious Weed & Pest Management and Wayne Crabbe with the City of Grand Junction search for the noxious weed yellow flag iris in Leech Creek. 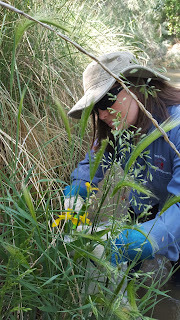 The pretty yellow iris is a popular ornamental plant near landscaped ponds but the seeds spread and grow outside of the desired boundaries and unwanted plants can obstruct stream flow and crowd out native plant populations. 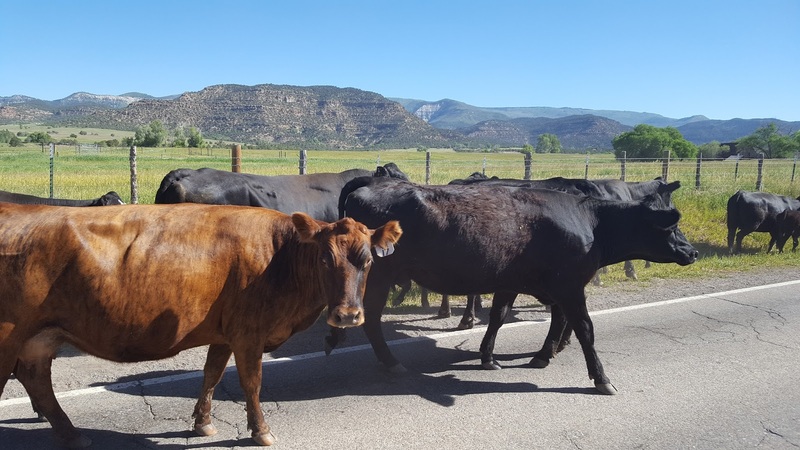 Watch out for the cattle on the road in Collbran, Colorado. Can you spot the seven blue herons in the cottonwood trees at Clifton Nature Park?! 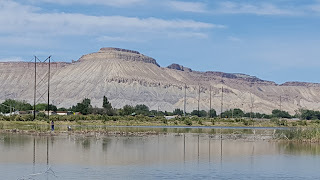 Join Mesa County in keeping Clifton Nature Park a clean safe place to play and enjoy, for fishermen, rafters, cyclists, walkers, bird watchers and all of the wildlife that call this place home. The Mesa County Employee Association (MCEA) hosted their annual Ice Cream Social for employees on Wednesday at the old Mesa County Courthouse lawn, 544 Rood Ave. MCEA President Lori Seeley, right, hands out ice cream. Mesa County Assessor's Office Administrative Assistant Laurie Kunze, left, Public Works Office Administrator Pam Hawkins, and Assessor's Office Appraiser Susan Andrews enjoy a treat at the MCEA ice cream social. 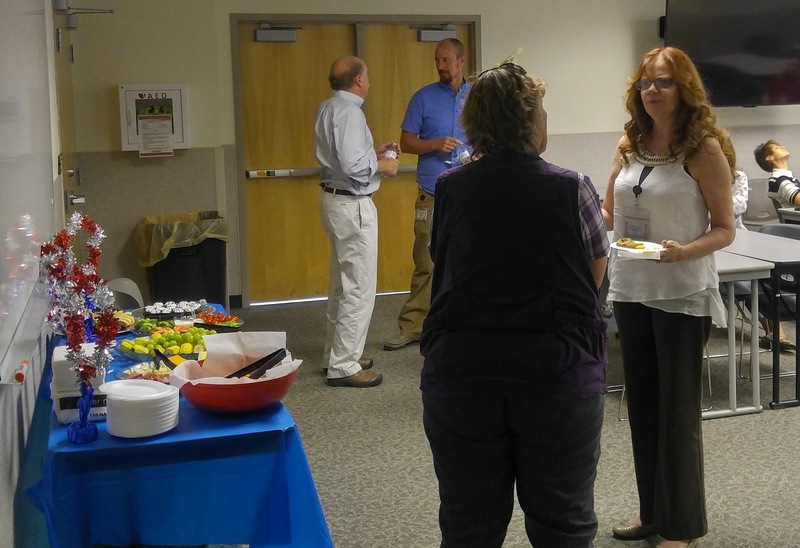 Mesa County employees enjoyed a bit of ice cream and good conversations, compliments of the MCEA. The MCEA works very hard to support employees. 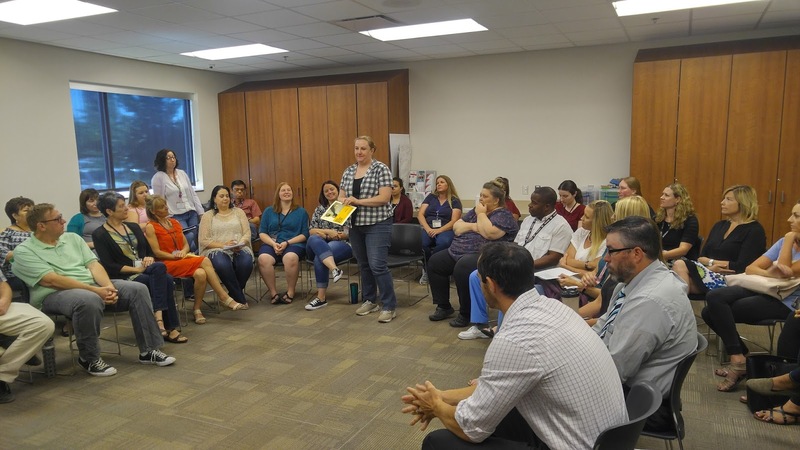 They host an annual employee appreciation ice cream social paid by the association through fundraisers. Mesa County Assessor's Office staff members Matthew Kramer, left, Steve Henderson, David Metzger enjoy their sweet treats under the shade. Mesa County Technical Support Specialist Paul Mitts, right, causing trouble. The MCEA ice cream social was well attended. 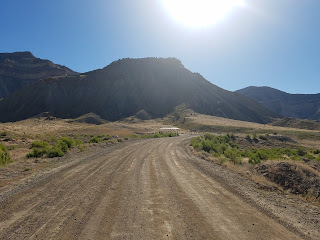 Mesa County supports fundraising for childhood cancer. Mesa County Assessor Ken Brownlee stops by the MCEA social to show support and eat some ice cream for lunch. 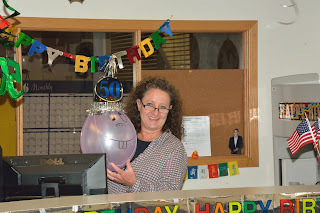 Mesa County Building Department Coordinator Rhiannon Foreman and Public Works Administrative Assistant Jennifer Caldwell having fun at the employee social. Mesa County Human Resources Cindy Barnett and Mesa County Clerk and Recorder Sheila Reiner visit at the MCEA ice cream social. Mesa County Finance Payroll Administrator Lynn Zubek , center, chats with fellow MCEA members. 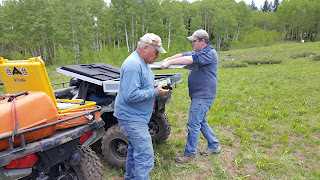 Mesa County Surveyor Patrick Green enjoying his ice cream. The MCEA ice cream social was a big hit! Mesa County Commissioner Rose Pugliese and Public Works Office Administrator Pam Hawkins catch up at the ice cream social. 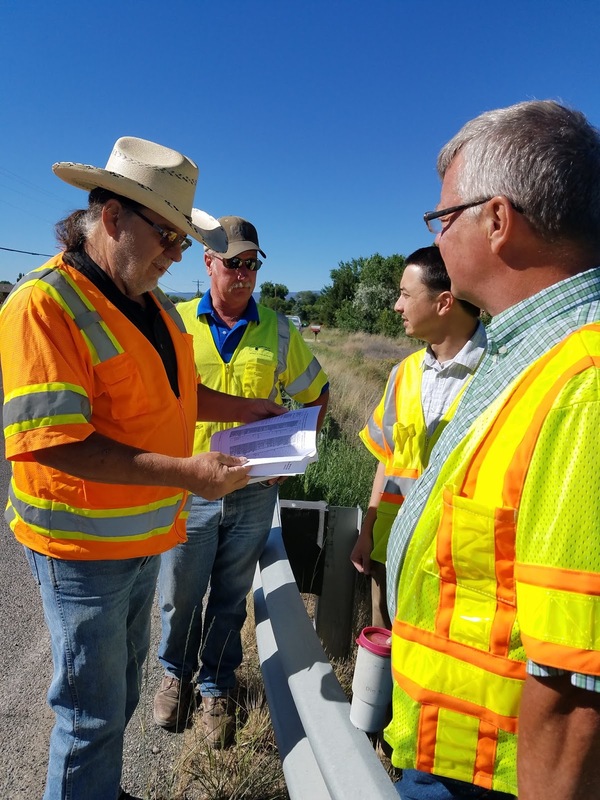 Mesa County Transportation Planner Biz Collins, center, is very excited about the ice cream choices! Mesa Count Park and Facilities staff keep the gardening around county buildings looking immaculate. 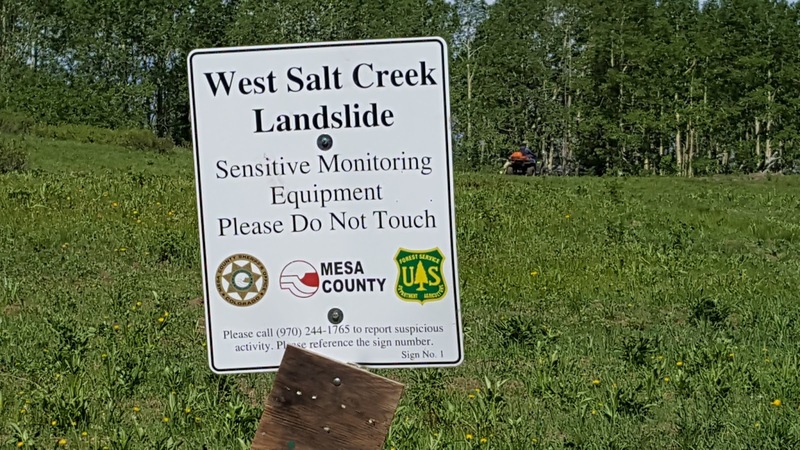 The West Salt Creek Landslide struck the Grand Mesa three years ago, and it continues to be monitored by Mesa County and several other agencies. 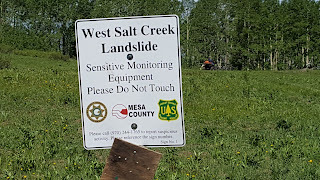 Spring runoff at the West Salt Creek Landslide is actively monitored by Mesa County and several other agencies. Mesa County Public Works Surveyors Frank Kochevar and Trent Howell monitor the West Salt Creek Landslide.